location - where's the rodeo? After losing out Midway company to a scheduling conflict, Dave Rock, the Rodeo President, works with West Coast Amusements and Party King to bring the Midway to the Leduc Recreation Centre for the Rodeo. 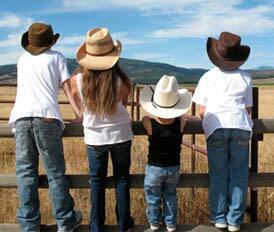 They won't be here for Thursday, the Rodeo kickoff, but will be in full swing Friday for your riding pleasure. The Black Gold Rodeo Association is pleased to announce that we are now able to offer a slightly scaled back midway for this years rodeo weekend. 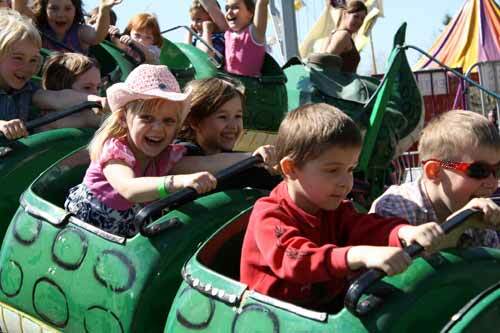 West Coast Amusements, the midway contractor that supplies events such as the Ponoka Stampede, has offered to supply a number of rides, which in combination with Party King, who supplies non-mechanical rides and activities to events across the province, will allow for a small midway with lots of excitement this year. The association knows that the midway is something that everyone in the community looks forward too, so we have worked hard since finding out that our initial midway contractor was unable to accommodate the Leduc Black Gold Rodeo to have something to meet that demand. We understand that the midway may be somewhat smaller than what has been available in the past, but the association is looking into offering something bigger in 2017. The Black Gold Rodeo is four days of fun and excitement, with edge-of-your-seat pro rodeo action; live music, entertainment and great deals at the Trade Fair; and plenty of family-friendly activities. Copyright © 2019 - Blackgold Pro Rodeo. All rights reserved.